If you’re a student living in the UK and you haven’t heard of Bubble, it’s high time you ditch that hermit’s shell and get your tech swag in check. 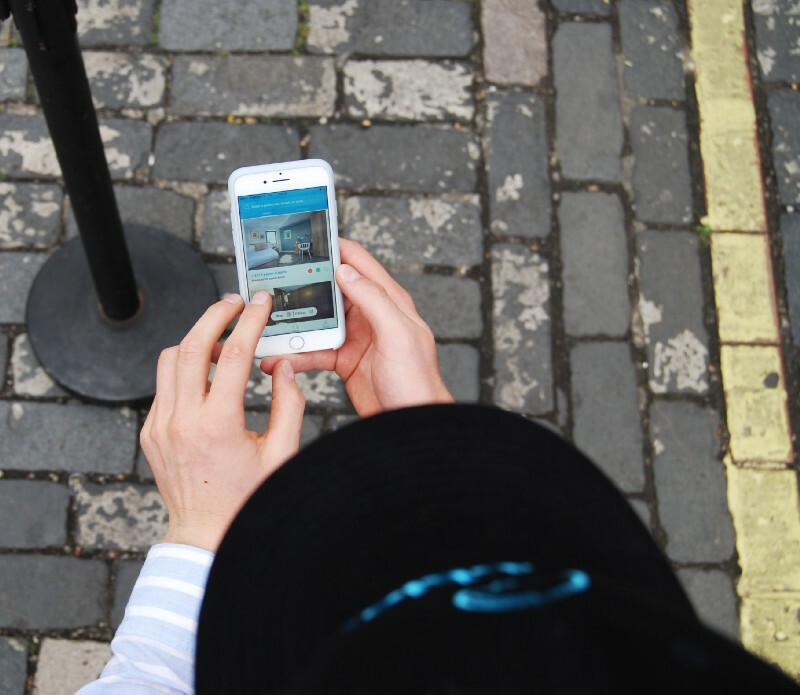 With over 800 letting agencies and 14,000 properties in their database, Bubble makes finding the perfect student home literally just a tap away. Built by students, for students, Bubble understands the difficulties students face and the daunting decisions that have to be made when finding somewhere to live, because their team has been through it too. Bubble is all about giving you the most suitable accommodation options, letting you search with your friends and making it as easy as possible to find your dream home so that you can get on with student life. On Bubble, you can search from thousands of available student properties and see which of your mates are interested in the same ones. You can add your favourite properties to a group and chat about them with your future housemates. Booking a viewing is only at the tap of a button, so you can get back to the fun aspects of university life. Here at Salesflare, we’ve been ecstatic to be part of Bubble’s behind-the-scenes sales process, helping them do sales and build relationships with our platform. We sat together with Bubble to talk about how they fill up their sales pipeline and how they use Salesflare to follow up on leads and close deals. What is Bubble Student all about? Remember trying to find student accommodation at university? “Remember having to go to the Students’ Union to get a list of landlords’ numbers and their properties? Remember having to call them all, and then having to schlep all over town, without the faintest idea of what you’d find — or who you might have to live with? Bubble Student is changing all that — and not just for students. “But the real innovation is in how it serves letting agencies. Bubble is powered by Zoopla, one of the biggest property listing platforms in the UK that has a public API, so companies like theirs can use the properties they have listed on their platform to list on Bubble. Using emerging technologies such as machine learning and cloud computing, Bubble Student aggregates accommodation from agencies, landlords of Houses of Multiple Occupancy (HMOs), Purpose-Built Student Accommodation (PBSA) and private properties on an easy-to-use and free-to-list platform. 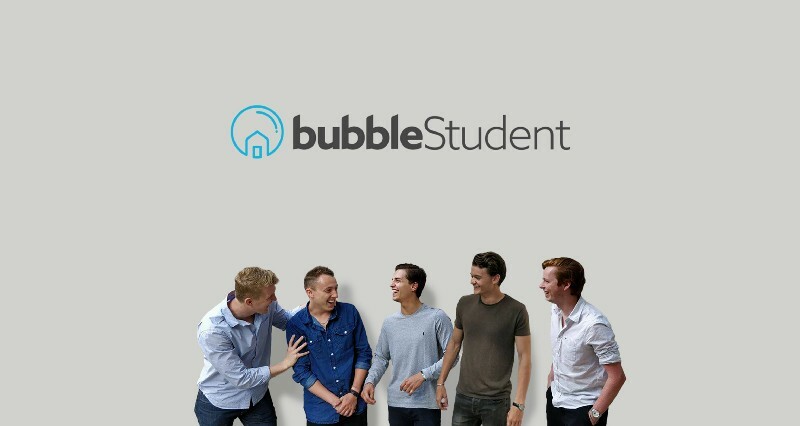 Founded by Felix Henderson and Solomon Wright, two 22-year-olds who met through a mutual friend in student halls, Bubble Student has just secured pre-seed investment of just over £200k, giving the company a post-money valuation of £1million. How does Bubble Student do sales? “Bubble Student is committed to a soft yet persistent sales technique. We operate a five phase system that focusses on building a relationship with our future clients. We start by using LinkedIn to connect with the relevant people from our client companies. This allows us to introduce ourselves and the business on a more personal level. We find a more informal approach works best for us in this particular case, as it really assists in helping build the relationships we strive for. We find a more informal approach works best for us in this particular case, as it really assists in helping build the relationships we strive for. Once they have a detailed understanding of the business and the team, we then make a conscious effort to understand their business and any areas they feel need improving. This helps us understand the areas we need to tweak/improve on the platform so we can attempt to solve our clients’ problems. In order to continue building and to maintain the relationship we always try and help our clients with issues in other areas of their business. This normally means suggesting other tools that can help them with things that the Bubble Student platform can’t. Listening to our clients during the initial phases also helps us figure out the areas we need to focus on when trying to convert our leads later on. When we finally introduce the product itself we take the time to personally walk them through it so they can ask any questions they like about all aspects of the platform. Once a lead is converted, the sales process continues. “We are lucky in our business because we have integrated with Zoopla, meaning we have the contact information of all the agents listed on the student app (approximately 900 agents). This allows us to easily target them in our sales process. Our primary channel is Linkedin, so we can connect with the right people within the business on a more personal level. This gets our foot in the door. We do however use this in conjunction with various other channels, such as social media, email, phone, Skype, etc. How do you use Salesflare? “Our three sales guys use Salesflare to track leads and communicate with one another about progress on the leads in our pipeline. We use SCRUM for all areas of our business, so the sales team just work through the backlog, moving leads across as they go. It’s great for seeing who’s communicated with who, how and when. It brings accountability and transparency to our sales process, avoiding confusion and potential mistakes. We’ve integrated Salesflare with Intercom to have all the data in one place and we’ve set up a Slack integration to get realtime notifications for updates. Any sales hacks/tips you would like to share? At Bubble they say they’re still looking for sales hacks. At Salesflare, we think these guys are doing a great job at building their sales process around helping people out. This is not a ‘hack’ as in a shortcut but arguably more powerful when it comes to gaining an edge over your competition. Bubble’s approach of trying to solve your prospect’s problems and pursuing that regardless of whether they’re a match for your business is an awesome approach that can be recommended to anyone doing sales. You may not get a sale out of it right now but you’re expanding your network and influence with meaningful relations that can uplift your business’ value and reputation on the longer term. People buy from people they know, like and trust, and they will be happy to refer you to others who are in need of your value. The same can be said of approaching post-sales as if you’re still doing sales, constantly bouncing back asking what can be improved. Being in constant conversation with your customers creates a strong connection and gives you a direct link to the greatest product idea source of all time: customer feedback. You show that you care about solving your customer’s problems above all else while assuring yourself of an infinite influx of ideas. Each month we showcase one of the Salesflare customers to learn more about their business and how they do sales. Click here to read how our previous Sales Heroes from AIESEC use Salesflare on their to drive leadership development in young potentials all over the world. Click here to read how the Sales Heroes from Conversation Starter use Salesflare on their mission to make networking events more magical and effective.